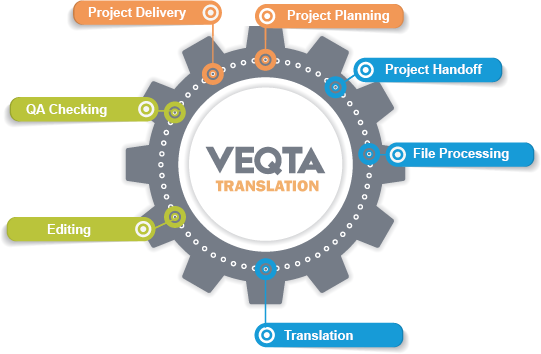 We provide precise scoping and can anticipate problems and recommend translation solutions quickly using best Project management methodologies. We listen to our clients to meet their expectations by using a dedicated project management team and clear and timely communication. We offer a dedicated project management process as well as a thorough understanding of the localization components and processes. We believe that these principal services are the key to the success of a project. We collaborate very closely with all our translators and also our reviewers to ensure projects are delivered on time. We also provide some of the best translation rates in Malaysia. We can meet deadlines for rush jobs by assigning as many resources as required to meet your deadlines. Upon project completion, we perform post-mortem evaluations as well as collect client feedback. We always strive to improve. We maintain, update and file all completed translations – for all of our clients – to ensure we leverage as much completed work towards future projects. Most clients who use our services are indeed businesses, NGOs and corporations. However, we can also provide translation for individuals citizens as well. if required. Just how fast will, of course, depend on the size, complexity, and difficulty of the project, as well as the language(s) involved. We can expedite turnaround times by quickly assemble project-specific teams of in-house linguistic and localization operators, supported by subject matter experts. We are capable of performing multiple tasks to further reduce turnaround times and use the best and widely used tools for efficient handling of multiple formats. We always perform quality delivery checks on all project deliverables which reduces the time required for client’s to review and sign off on a project. We provide fast response times and responsive communication and go the extra mile for resource support even outside regular office hours and time zones. We pride ourselves in our time zone management. We can effectively manage resources in different continents with short lead and turnaround delivery times. We can support conference calls between our linguists’ client’s In Country Reviewers (ICR) to respond to queries and optimize output thus avoiding delays in project deliveries. We can customize our processes and provide a wide range of services depending on project requirements and scope. 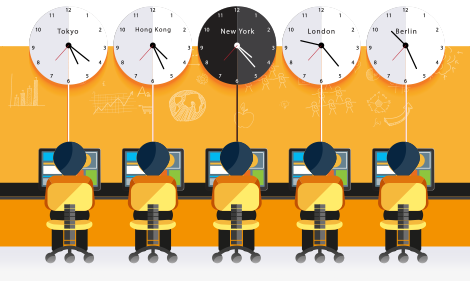 We have experience in managing projects simultaneously across all time zones. project management tools, from planning to execution and finally delivery. We strive to meet and exceed defined client objectives as well as satisfy clients and end-users by creating the right translation and localization solutions. Our project managers are responsible for the project life cycle – from a project’s start to finish. We happily accept translation projects of a few hundred words to projects in the millions. We also gladly accept projects involving numerous languages and integrated services such as translation for e-Learning and multimedia platforms. Looking for an unusual language pair? We can offer more languages than listed. Project Management Planning. We scope the project according to the translation and localization requirements. We provide a project proposal and schedule as well as coordinate with translators to provide a timeframe for delivery with project milestones included. The source files will be converted into a format used by our linguists. This involves using industry standard formats such as Trados, MemoQ as well as Translation Memory (TMX). The processed files are prepared by our team and assigned to the linguists. If needed, we will provide a glossary and style guide with the document to highlight term and translation preferences. This step also reduces revision time and therefore saves costs. The translation is done by a translator with native language proficiency who has expertise in the document’s subject matter. We divide large projects into smaller batches and then consolidate the files to provide all deliverables within the pre-set timeframe. The editing is first done by a native editor/reviewer of the target language. It’s critical that a native speaker of the target language carries out editing to maintain the integrity of the intended source text. When the source is translated from another language into English, the text is also polished by an English editor/reviewer who corrects the grammar and checks on any spelling mistakes. The Project Manager goes over the project requirements to ensure no details have been overlooked. The Project Manager goes over the requirements and ensures overall completeness of the deliverables to ensure no details have been overlooked.